Many years back, social media was looked at as nothing more than a way to hang out online and connect with old friends and post up funny pictures and videos and kill time. Fast forward a decade and social media is now a major part of every business’s efforts in marketing their company, engaging with their audience and building their brand. Every business is now hooked into social media and have their Facebook, Twitter, LinkedIn and Instagram pages activated. Even now, some businesses haven’t figured out how to really make it work and are still on the ropes. But it’s suffice to say that those companies that are fully engaged with social media are gathering a whole new audience beyond the yellow pages and local advertising. News travels at the speed of light on the internet. With social media, a single post or tweet can reach an entire customer-base. If you’re running a business, it’s imperative that you get on board the social media hype because it’s not going anywhere anytime soon. It’s growing rapidly and is a massive vehicle for driving traffic and sales. 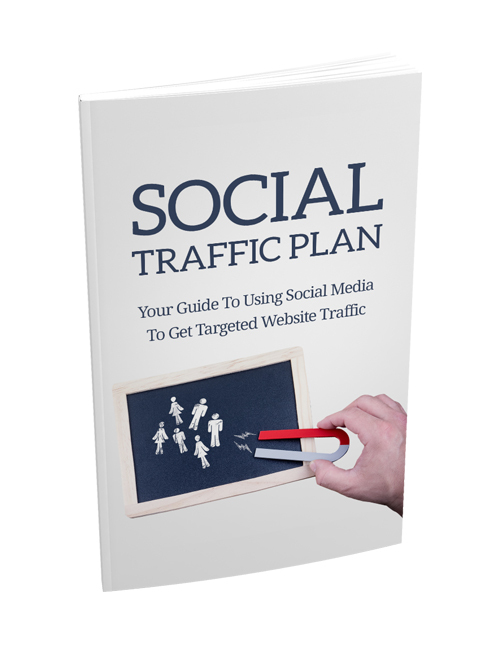 In this guide, you’re going to learn how to utilize social media to the fullest in order to boost your traffic. You’ll learn how to use Facebook, Twitter, Instagram, and Pinterest to their utmost capabilities. It’s all about igniting your brand and getting customers on board. Let it begin here. Hit the download button now.